There's a strange fascination with the final meal of death row inmates, and it's no different for women, especially considering that female murderers' last meals vary from healthy salads to greasy fast food feasts. It may seem strange the state would be kind enough to pick up someone's fast food order right before killing them. But an inmate's right to a last meal of her choice is viewed as a humanitarian gesture, and one that death row inmates take full advantage of. Well, some of them, at least. Women seem to be a bit different when it comes to naming a final feast. Of the 15 women to be executed since the United States reinstated the death penalty in 1976, nearly half have refused a last meal. But then there is Kelly Gissendaner, a Georgia woman who was scheduled to be executed in February. Gissendaner was sentenced to death for conspiring to kill her husband and made headlines not because her execution was temporarily stayed, but because of what she requested for her last meal. Gissendaner chose to eat two Burger King Whoppers with fries, popcorn, cornbread, salad with Paul Newman buttermilk dressing, lemonade, and cherry vanilla ice cream. But while Gissendaner's last meal was certainly the most ambitious, it wasn't necessarily the strangest. Dovie Dean, nicknamed "the woman who couldn't cry" was put to death by the state of Ohio in 1954 for putting rat poisoning in her husband's milk and killing him. 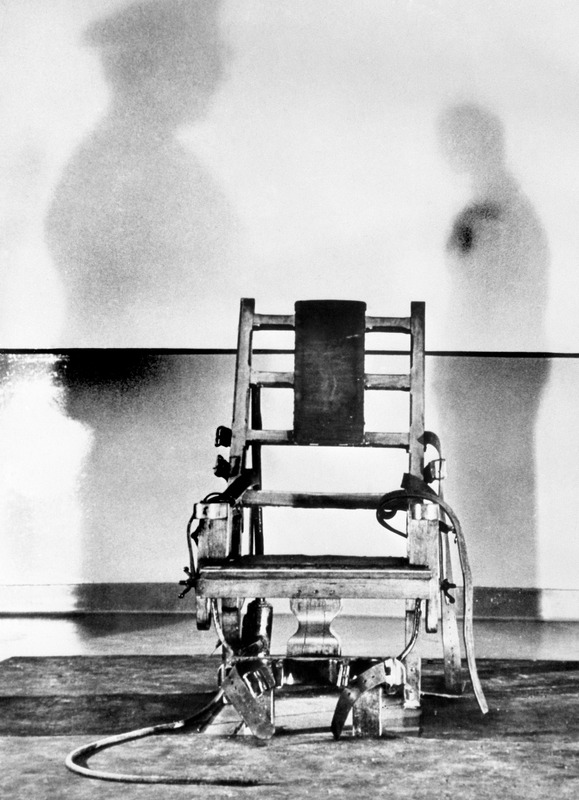 Dean, who was executed via electric chair, ordered a sensible last meal, requesting roast chicken, coconut pie, angel food cake, and black coffee. Before Betty Butler was executed by the state of Ohio in 1954, she requested scrambled eggs with cheese, toast, two glasses of milk, and a nice bowl of apricots. Butler was sentenced to the electric chair for strangling and drowning a woman who she claimed made sexual advances toward her. After her death in 1957, Rhonda Belle Martin — who was found guilty of killing her mother, two husbands, and three children — donated her body to science. If they had looked, the scientists would probably have found traces of her last meal, which was a hamburger, mashed potatoes, cinnamon rolls, and coffee. Elizabeth Duncan, who was executed in 1962, was the last American woman to be executed before the Supreme Court made the death penalty illegal. Duncan was found guilty of plotting to kill her daughter-in-law, and for her last meal she ate a simple steak and salad. Velma Barfield became the first woman to be executed after the death penalty was reinstated in 1976, and she had a simple request. Barfield, a serial killer who confessed to murdering six individuals, simply ate Cheeze Doodles and a Coke before her execution in 1984. After Judy Buenoano was found guilty of murdering her husband and son and attempting to kill her fiancé, she was sentenced to death. Before her 1998 execution in Florida, Buenoano ate a very healthy meal of asparagus, strawberries, broccoli, tomatoes, and hot tea. In 1998, Karla Faye Tucker was sentenced to death by the state of Texas for killing two people with a pickax. For her final meal, Tucker — whose case spurred massive media attention — ate a banana, a peach, and a garden salad. After killing her two children and attempting to kill herself, Christina Marie Riggs was executed in Arkansas in 2000. For her final meal, Riggs set her sights high, requesting a supreme pizza, a salad, fried okra, cherry limeade, and a strawberry shortcake for desert. Lois Nadean Smith was executed by the state of Oklahoma in 2001, after being found guilty of choking her son's ex-girlfriend, stabbing her in the throat, shooting her nine times, and then jumping up and down on her neck. Smith was slightly less adventurous than Gissendaner and requested barbecue ribs, onion rings, strawberry banana cake, and cherry limeade. In the same year as Smith, Marilyn Kay Plantz was also executed in Oklahoma after hiring men to kill her husband so she could collect insurance. For her final meal, Plantz aimed high, asking for chicken taco salad, a Mexican pizza, two soft chicken tacos, two cinnamon twists, a pecan pie, and two cans of coke. Like Barfield, when Wanda Jean Allen faced her death sentence, she chose a light last meal. Allen, who was executed in 2001 by the state of Oklahoma for shooting her ex-girlfriend, simply ate a bag of chips as her final meal. Aileen Wuornos, one of the better known female serial killers, was found guilty of killing seven men and was executed in Florida in 2002. Wuornos, who was the subject of the movie Monster, declined a final meal, opting instead for black coffee. In 2010, Virginia executed Teresa Lewis for the murder of her son and husband, who she killed for insurance purposes. For her final meal, Lewis ate two fried chicken breasts, sweet peas, a German chocolate cake, and Dr. Pepper. Lewis' death sentence was highly controversial, as her low IQ prompted humanitarian concerns. Thus far, Gissendaner still tops the list for the most colorful last meal request — even though she hasn't been executed yet. Her execution has been rescheduled for Sept. 29, before which she has requested a different and smaller last meal. This time around, Gissendaner will be having cheese dip with chips, Texas nachos with fajita meat, and a diet frosted lemonade.